With the news of another high-rise building set to overshadow the historical district of San Sebastian Church along Recto Avenue in Quiapo, Manila, it’s high time to talk about the regressing status of heritage conservation in the country, specifically in the Metro. For the past decades, heritage sites in the City of Manila have faced more threats from commercial industries and less support from the government. 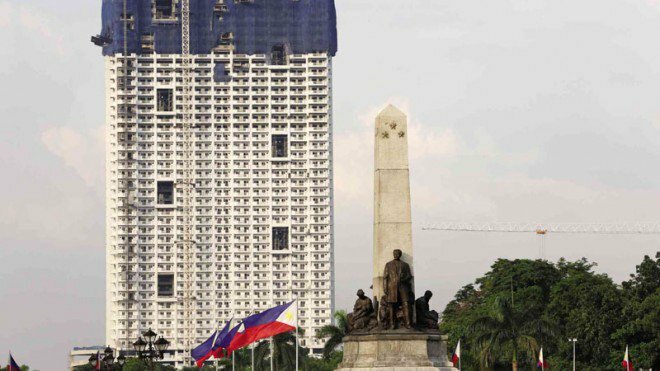 We can recall that in 2014, a high-rise condominium was erected just behind the respected Jose Rizal monument in Rizal Park. A commercial building is set to be erected within the Arroceros Forest Park, which is considered as Manila’s “last lung.” Skyscrapers have dominated the skyline around the University of Santo Tomas, which houses four National Cultural Treasures. Even our top tourist destinations outside Metro Manila—some of which are considered as historical sites—are not safe from being commercialized. Last August, private corporation Thermozone Philippines revealed plans to develop the Pine Trees of the World area of Burnham Park, Baguio City into a “Dino Park.” There have also been previous plans to develop a theme park in Coron, Palawan. Many advocates have successfully urged the government to act on these threats to our heritage, but there is still a looming possibility that these may be turned to false hopes, given the lack of cultural literacy of most of our government officials. Government officials give more priority to keeping its investors than its own culture. A heritage advocate said government officials do not express interest in dealing with longitudinal studies, primarily because most of the process of strategic and sustainable planning take years. Since the turnover of local government officials is every three years, not many of them want to invest in projects that could last longer than their term. It’s a blatant expression of their lack of interest in preserving our culture, which is very alarming. They are elected to govern the land, but they care least about the actual land itself. Ramos-Shahani recalled that in the past leadership of the Department of Tourism, “there was this perception that culture was beauty pageants and boxing matches.” When they try to communicate that cultural heritage is a priority, it’s not necessarily understood. It is easy for the government officials to defend that they allocate budget for commissions that deal directly with culture and heritage like the National Commission for Culture and Arts and the National Historical Commission of the Philippines. But heritage advocates cleared that there is no actual budget for preserving, conserving, and managing existing sites. Yes, they can urge officials to prohibit the demolition of certain sites but they cannot actually do the preservation because they lack the funds (not to mention manpower) to do so. 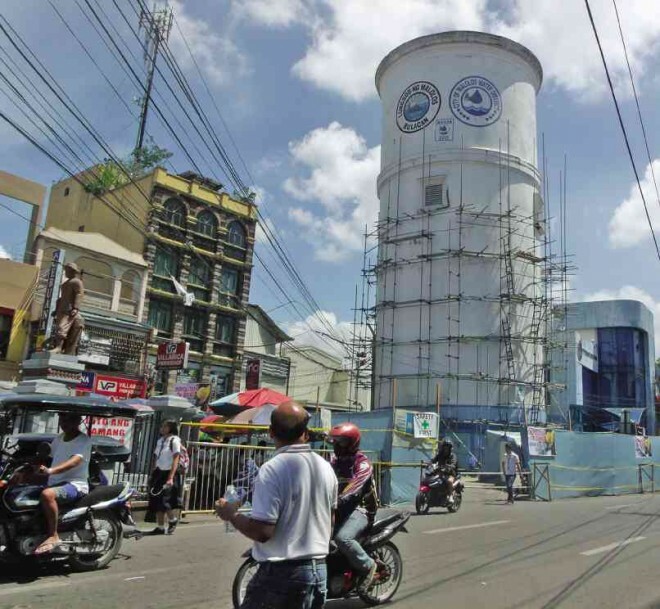 Let’s look at this 95-year-old Malolos water tower, for example. The National Museum was able to stop the city government from its demolition and cited its need to be preserved. But it took almost a year for the advocates to persuade the government in taking care of the tower given that a P28 million budget is needed, according to engineers. Cultural agencies do not have a clear and specific platform to act on, too. The Philippine Cultural Heritage Act or Republic Act 10066 does not delineate specific roles between agencies. Article VIII of the act enumerates certain field of work for different agencies, but the one-line definitions merely take a look into the advocacy of each agency. “So when we have these interagency meetings, there’s a little bit confusion about who should be handling what,” Ramos-Shahani stressed. This is a result of the country’s lack of policy controls. According to Kay Malilong, a lawyer and legal counsel of the International Council on Monuments and Sites Philippine chapter, the multi-layer system of governance prevents the projects to be permanent. There are a lot who want to help, but it’s getting hard to continue pushing for sustainable development when we always have to persuade the people seated to understand the importance of heritage. And the fact that heritage conservation has a law does not mean that it is being prioritized. Like most of our laws that the government has batted a blind eye to, the heritage law remains stagnant. It’s as if it is only passed to conciliate the cries of advocates and activists after a pre-war building in Manila was demolished. It is barely implemented, which is why many of our sites are still continuously deteriorating and all we can do is urge the government to follow the law they passed and support projects that prevent further deterioration because the ones who actually want to help do not have any fund to do so. Our culture and heritage are in need of contribution from the government to strengthen constitutional laws and to control the rights to property. We have a lot of advocates, but their efforts are just being wasted with the blatant disregard of heritage by local officials.